Especially if you have never been involved with the criminal justice system, the complexity and uncertainty about the process can cause fear and confusion. Lori Levin knows the system from every perspective and can guide you through the process, explain to you what you should expect and answer all of your questions. Most importantly, she will devote her knowledge, training and experience to aggressively fight for your rights. Lori G. Levin, Attorney at Law, is an established law firm dedicated to criminal defense and safeguarding the rights of individuals. Chicago criminal defense attorney Lori Levin has spent more than 30 years working in the Illinois criminal justice system. Her strong background as a defense counsel who is a former prosecutor makes her the right choice to work and advocate for you. Lori Levin spent many years as a prosecutor and supervisor with the Cook County State Attorney’s Office, positions that have given her substantial insight into the inner-workings of the criminal justice system and valuable knowledge she uses to shape her defense tactics. Additionally, she was appointed by the Governor and served six years as Executive Director of the Illinois Criminal Justice Information Authority, an agency dedicated to improving Illinois criminal justice. Today, as a Chicago criminal defense attorney, Lori Levin passionately fights to secure justice for her clients. 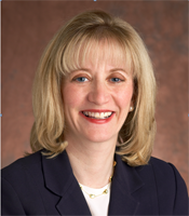 Lori Levin doggedly pursues your case in court so that a trial can lead to a just result. Her professional courtroom demeanor and meticulous preparation give her an edge when defending her clients against criminal prosecution. If you believe that a trial is not in your best interest, Lori Levin effectively negotiates with the State to arrive at a just resolution. Contact the Chicago criminal defense attorney with the experience to best help you. Call 312-767-2356 or contact the firm online to schedule your free consultation. The office of Lori G. Levin, Attorney At Law is conveniently located, close to public transit and nearby parking, and serves clients throughout Chicago and its suburbs, in Cook, Lake, DuPage and Will Counties, including Chicago, Evanston, Skokie, Wilmette, Highland Park, Glencoe, Northbrook, Winnetka, Northfield, Glenview, Deerfield, Rolling Meadows, Arlington Heights, Palatine, Schaumburg, Des Plaines, Buffalo Grove, Mundelein, Cicero, Oak Park, River Forest, Park Forest, Westchester, Western Springs, Oak Brook, La Grange, Posen, Bridgeview, Maywood, Markham, Gurnee, Waukegan, Richton Park, Flossmoor, Naperville, Downers Grove, Joliet and Wheaton. “Having a lawyer can really be a double-edged sword – chances are, the circumstances requiring you to retain a lawyer aren’t awesome. But when you have to, it’s really helpful to have someone compassionate, competent, and successful. I was so happy to have Lori return my call when I needed someone to represent my interests. I got lucky – she couldn’t have been more professional and capable, but at the same time I felt like she was instantly…almost family? If that makes sense. Bottom line: I won, and if I hadn’t had Lori, I shudder to think what may have been. I’m not made of money, certainly, but I feel like I got a great value from Lori even though I never bothered to check what it all cost me. That’s the best customer experience you could have – make them never question how they are spending their money because the results are so good. Well, I never felt like I had to look into it – whatever it cost, I got more out of the deal than she did. Highly recommended. Should I ever need a lawyer in this space again, I will only make one call.” D.C.
“I utilized Lori when a friend of mine needed a legal advocate on his side to represent his best interests. Lori responded quickly and immediately interjected herself into the defense of a vulnerable person undergoing life challenges. Lori kept within her budget, didn’t make promises that she couldn’t keep and explained the choices and probably outcomes clearly and concisely. If the need arose, I would reach out to Lori as a lifeline any time.” D.Z. “I contacted Lori when I had a dispute after a long Christmas party. It was my first brush with the criminal justice system. Lori clearly explained the process to me, charged a reasonable fee, and did an excellent job every step of the way. We faced some obstacles with the first judge and Lori was able to change the venue and persuade the prosecutor to agree to a minor charge. Lori also successfully expunged the minor charge as soon as it was eligible. This was incredibly important to me and Lori kept in contact throughout. She was highly professional, a great listener, and extremely skilled and experienced. Lori turned an awful experience, one of my life’s worst, into a manageable series of steps that ended very successfully. I give her the highest recommendations.” S.D. “Lori … was more than an exceptional person … Being able to be accompanied by such an individual was a blessing in disguise, she was easy going, caring and understanding. But what made her stand out above all others is she had heart and cared for people who really needed saving. Once again thanking you for your generosity, professionalism and determination. You are highly appreciated. You have helped change a life for the better :) ” F.N. 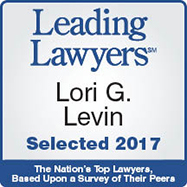 “Lori Levin is an exceptional attorney. She helped my husband and I will our guardianship case for my husbands daughter and I honestly don’t know what we would of done without her knowledge and expertise in the court system. Ms. Levin listens to her clients and provides them with the best plan of action for their case. I would recommend her to anyone that is looking for a good, knowledgeable and fair attorney.” L.H. “Lori was a wonderful asset to my family in a legal matter. Her expertise on the issue was extensive and she handled herself with the utmost professionalism at all times. Lori is a top notch legal adviser. Her clients are always in good hands and lucky to have her in their corner just like we were lucky to have her in ours. Lori Levin gets the job done!! !” T.T. “Lori, You are a dear soul. Great to know that the justice system works and there are angels like you…Thank you for giving me something that money cannot provide and that is my good name back.” E.A. “Well worth the call & money. Lori was a great attorney & friend. She was very professional in handling my case. She did what most thought was impossible. I would recommend her to anyone.” O.C.J. “Lori Levin is responsive, knowledgeable and experienced in her field. She develops a good rapport with her client. She kept him informed as to how the case was proceeding. I appreciated her extreme honesty, trustworthiness and effectiveness. I appreciated her professionalism during the entire case and confidence in her ability to fight hard to get a Victory. She was a pleasure to work with and I would highly recommend her.” J.H. “My experience with Attorney Levin was the best. I contacted Attorney Levin on short notice and she took the time and spoke with me over the phone about my case. She was very nice, supportive and professional. I would recommend her to everyone that needs legal assistance. If you come across her name and need legal assistance make sure you give her a call. Attorney Levin is great!” S.N. “Lori’s knowledge and assistance with a friend’s case helped provide the best possible outcome for him. Her in-depth knowledge of the legal timeline helped put us at ease each time there was a delay. She also went out of her way to investigate the details of the charges and she was very understanding of my friend’s preferences, leading us to a positive outcome.” A. L.
“I contacted Lori to help me with some minor infractions and legal assistance with expunging my record. This was my first run in with the law, and Lori was very professional and helped me understand the legal process every step of the way. While we ended facing few obstacles, I am confident that Lori would have pulled every legal maneuver to help clear my name had things been more dire. Lori was candid about the possible outcomes and penalties that I could face; she did not sugar coat anything. That being said, she also gave me her opinion on matters, the most likely outcomes, and informed me of the steps that we would take for each instance. She understands the legal process inside and out, and clearly is well liked in the court system, which I suppose never hurts. Overall, I am extremely satisfied with her services and would recommend her to any friend in a similar situation.” D.K. The office of Lori G. Levin, Attorney At Law is conveniently located, close to public transit and nearby parking, and serves clients throughout Chicago and its suburbs, in Cook, Lake, Du Page and Will counties, including Chicago, Evanston, Skokie, Wilmette, Highland Park, Glencoe, Northbrook, Glenview, Winnetka, Northfield, Deerfield, Rolling Meadows, Arlington Heights, Palatine, Schaumburg, Buffalo Grove, Cicero, Oak Park, River Forest, Park Forest, La Grange, Westchester, Western Springs, Oak Brook, Posen, Bridgeview, Maywood, Markham, Gurnee, Waukegan, Richton Park, Flossmoor, Naperville, Downers Grove, Joliet and Wheaton. The use of the Internet or this form for communication with the firm does not establish an attorney-client relationship. Confidential or time-sensitive information should not be sent using this form.